Kristin A. Nichols is a partner and Katten's Chief Practice Officer. She oversees the strategic planning, operation and management of the firm's practice groups to support the firm's long- and short-term strategic goals. She provides high-level business support to practice heads and works directly with the Board of Directors and Executive Committee to initiate and manage practice development, expansion and alignment. In addition to her global practice management responsibilities, Kristin oversees the firm's pricing function, aligning the firm's profitability goals with our clients' needs for efficiency and value. 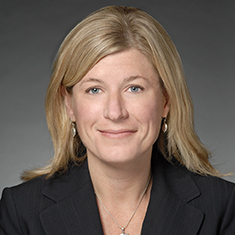 Previously, Kristin served the firm as Chief Strategy & Development Officer. In this role, she was tasked with creating, communicating, executing and sustaining global strategic initiatives. Kristin has also been involved in the firm's lateral partner recruitment and integration efforts, marketing and business development initiatives, and talent management processes. Kristin started her career as a litigator at Sidley Austin in Chicago. Prior positions included serving as the director of the Career Strategy Center at the Northwestern University Pritzker School of Law, and developing a consulting practice providing services pertaining to recruiting, consulting and coaching for attorneys. Shown below is a selection of Kristin’s engagements.